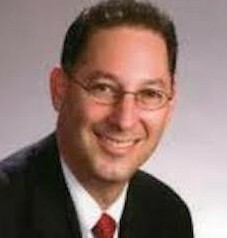 Exercise Your Rights, Call Your Lawyer | Kenneth Padowitz, P.A. 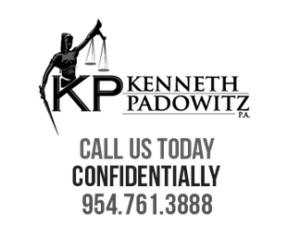 Exercise Your Rights, Call Your Lawyer | Kenneth Padowitz, P.A. Thanks to the foresight of our founding fathers and the continued vigilance of lawmakers since then, citizens of the United States have rights. When you are in an arrest or accusatory situation, you should exercise your rights by calling your lawyer before you talk to anyone. Nine times out of ten, a situation could have been made much easier just by having your lawyer on the scene from the beginning. It can be scary to say, “I don’t want to talk about it until I see my lawyer,” but often that is exactly what you should say. Arrests, particularly for possession, are often made at traffic stops. Even though marijuana for medical use is now legal in Florida, people are sometimes mistakenly arrested for possession or other drug offenses. With the focus on opiates, even prescription drugs such as Xanax or OxyContin can trigger an arrest if you do not have your prescription bottle on hand. If you are already feeling a bit under the weather, it can be difficult to know what you should or should not say under those circumstances. Your best bet is to say nothing at all without a lawyer being present. Shoplifting even a minor item or two can become a big deal when it comes time to find a job. When George Orwell wrote 1984, he was thinking about police states and paternalistic law enforcement that included overseeing personal behavior. Today, we don’t have Big Brother have Big Brother dictating our exercise regime, but we do have Big Retail with cameras planted throughout the store. While amounts under $300 are “petit theft” they will be no small deal when it comes time to get a job. Getting your lawyer involved right away can avoid misunderstandings. If you have been stopped for an ordinary mechanical violation, such as a missing tail light, but are then searched because an officer believes that he smells marijuana, you are in a position to claim unreasonable search and seizure – especially if there was nothing to seize. But don’t try to talk your way through the situation. Call your lawyer right away. If you don’t have a lawyer, request one. Above all, don’t try to talk your way out of the situation. Your silence is your very best defense in these situations. Criminal defense attorneys are prepared to give their clients counsel and to defend them. They are not your critical relative who likes to scold. They are also not the relative who will gloss over how much trouble you are in if you really have done something you shouldn’t. They can, and will, explain your situation realistically and give you all the help possible under the law. That is their profession and their reason for taking up the profession. Their knowledge of the law, how it works, and even how the local legal system has its particular deck stacked are all their stock in trade.